We are back from a busy and very exciting week at the CT flower and Garden Show. I am very proud of the work that we did- our educational garden, our beautiful retail booth, and the workshops that Diane and I presented. We talked to people about the Natureworks mission until we were ready to fall over. We saw beautiful plants and gardens and caught up with many of our gardening friends. As we returned to Natureworks, it was so lovely to see both our yellow and red witch hazel trees in full bloom. Snowdrops fill the bed in front of the shop. At home, my first yellow snow crocus flowered on Monday. Gradually, ever so gradually, spring will unfold. Until then, we are very busy gearing up for our upcoming classes and our retail opening day on March 20th. 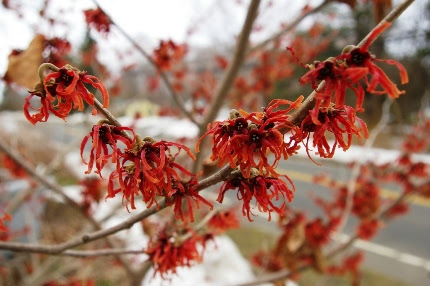 Our bright red ‘Diane’ witch hazel (Hamamelis) is in full bloom in the garden by the road! Have you signed up yet for our Natureworks Gardening Classes? They are really filling up fast. First up is our all day workshop Grow a Healthy Yard on Saturday, March 10th. This is one of the best deals you will find! Your registration gives you an all-day pass to a series of 5 workshops given by myself and my good friend Sandy Merrill, CT’s seed expert. Bring your own lunch (we will provide beverages) and enjoy a slide show of the beautiful gardens of England while you eat. Click Here to read all about it and register today. We open for the season on Tuesday, March 20th. 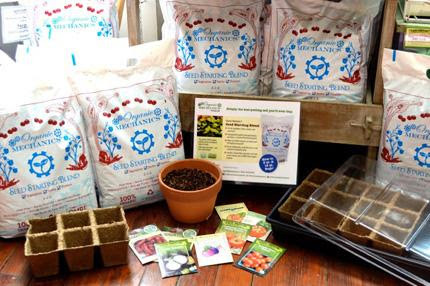 On Saturday, March 24th, Sandy Merrill will be leading two hands-on Seed Starting Workshops. The morning session is full. There are only 5 spots left in the afternoon class. Reserve a spot TODAY. 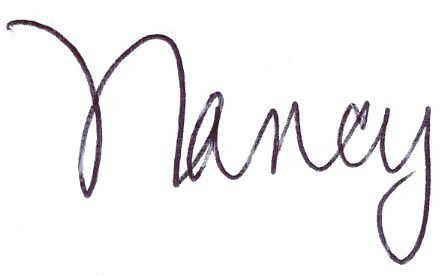 Click Here to read all about it and register. Want to know how to prune these hydrangeas? Sign up TODAY for our class on April 7th. 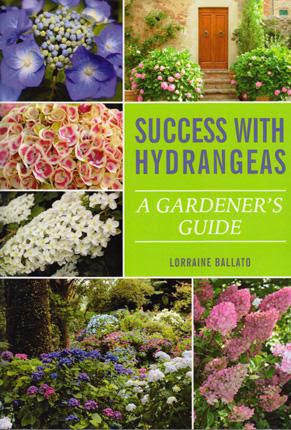 Ballato, who just published the book Success with Hydrangeas, will teach a two hour class specifically on PRUNING HYDRANGEAS. Don’t miss this! 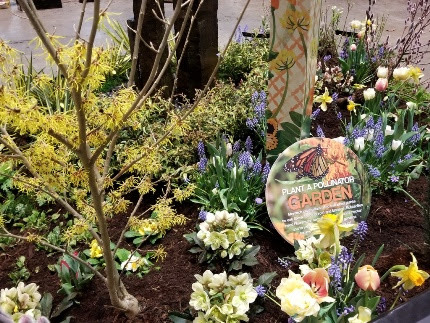 If you have a bad case of spring fever and want to know what you can be doing now to prepare for spring, read my informative article below. Meanwhile, keep following our Facebook and Instagram posts as we share our growing, blooming, inspirational world with you. 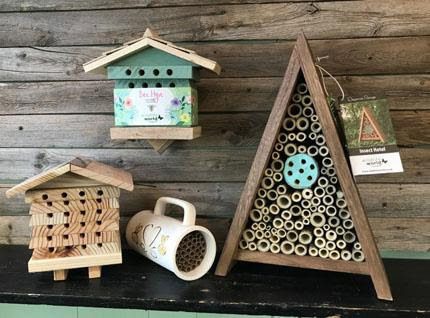 All new Pollinator houses will be in stock when we open.